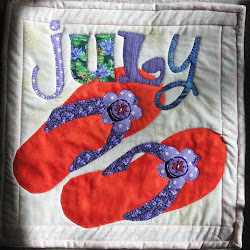 To recap, I have been guest presenting some of the blocks from the Farmer's Granddaughter Quilt Along in the Forum of the Missouri Star Quilt Company's website. 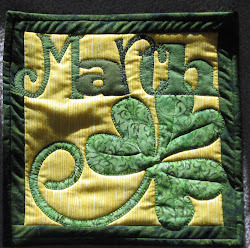 You do not have to be part of the Quilt Along in order to be able to understand how to make this Four Winds block. The Four Winds block is actually a 36-patch. That made me happy because I could return to rotary cutting and counter some of the problems I have with templates on account of my awkward short fat fingers. However, you can use the templates if you prefer. 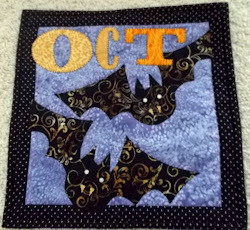 Only templates #13 and #19 are used in this block. 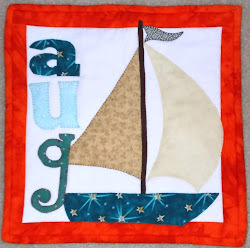 You will need four fabrics for the Four Winds block: a background fabric; a medium light fabric; a medium dark fabric; and a dark fabric. When I made my block, my dark fabric contrasted with the medium dark fabric a bit more than the contrast in the block in the book. As it turned out, I personally preferred the bigger contrast. So, I recommend you look at the photo in the book and the photo of my completed block and choose the level of contrast you like better. 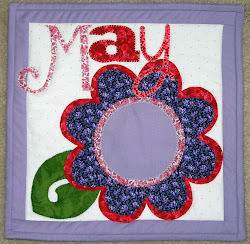 Background fabric: fourteen pieces from template #13 and four pieces from template #19. 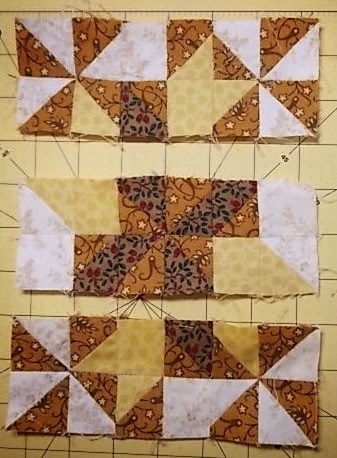 Medium light fabric: eight pieces from template #13 and four pieces from template #19. 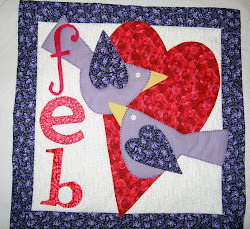 Medium dark fabric: twenty-six pieces from template #13. Dark fabric: eight pieces from template #13. The diagram in the book makes an interesting point. The first three rows, if turned upside down, are the same as the bottom three rows. 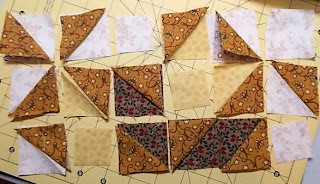 Since I used rotary cutting, I only needed half as many squares as template-cutters' triangles. After I pressed along the diagonal of my lighter 2" x 2" squares, my layout for the top of the block, EXCEPT for the piece in the upper right-hand corner. I didn't have enough pieces to present that piece as a HST, so, please consider the replacement square as only a placeholder. I found that I really needed the layout for this block in order to keep all the different colors and orientations of the HSTs straight. In fact, I had to piece each row one at a time in order to keep everything organized properly. 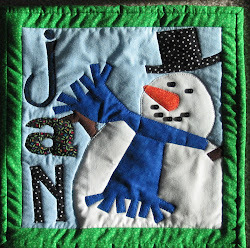 You will notice that the photo above was taken after I sewed the 1-1/2" x 1-1/2" squares in the first row into pairs and that I now have the correct pieces in the upper right-hand corner. 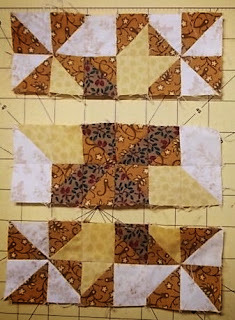 After I had the squares in the first row paired up, I sewed the pairs together. I repeated the same process for each row. 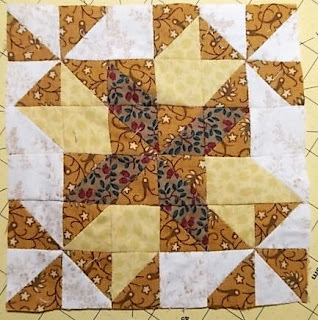 While I was piecing the block, I found that the tiny pieces had trouble staying in the correct sewing position underneath my feed dogs on the machine. I found my purple Thang to be invaluable. The Thang allows me to keep my HSTs in place as I stitch. There are other tools available; the Thang is just the one I like. I also discovered that my pieces required less manipulating if I sewed toward the seam between the triangles instead of from it. Also, I just happened to press the seams between squares on my top row towards the darker side (i.e., towards the right). Then I pressed the seams in each following row in the other direction. I ended up with only one awkward seam intersection when I sewed the 36 squares together. 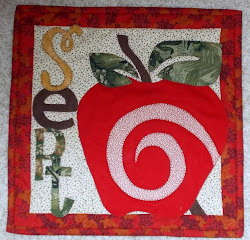 I also found that when I sewed two HSTs together, the seams nested together beautifully. 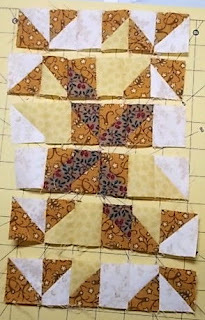 That meant I did a lot less seam ripping than I normally would on a block with lots of tiny pieces like Four Winds. 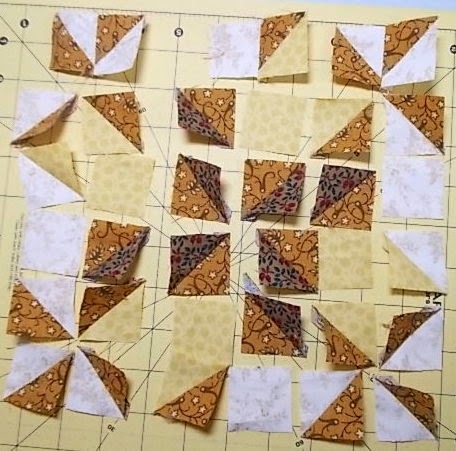 This is what my layout looked like after I had all six rows sewn together. 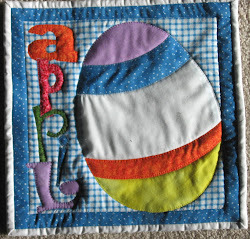 After I had the six rows sewn, I sewed pairs of rows together. It generally worked out better for me if I pressed the seams between the rows open instead of towards one side. 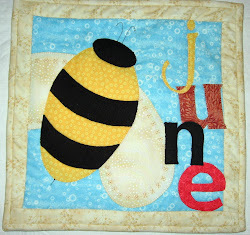 Then I sewed the pairs of rows together to get the completed block. 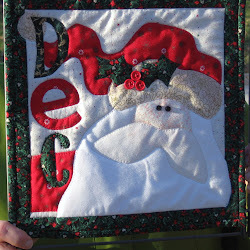 To be honest, the above block was trimmed before I photographed it. However, I really liked how the Four Winds block went together with a great deal of precision. So, while Four Winds block has lots of pieces, it actually turns out not to be that hard. The small size of the pieces is the most awkward part of the piecing. I hope you all enjoy making this block. If any of my explanation is unclear, please leave me a comment, either here or in the Forum.